Today we’d like to introduce you to Chris Taylor. 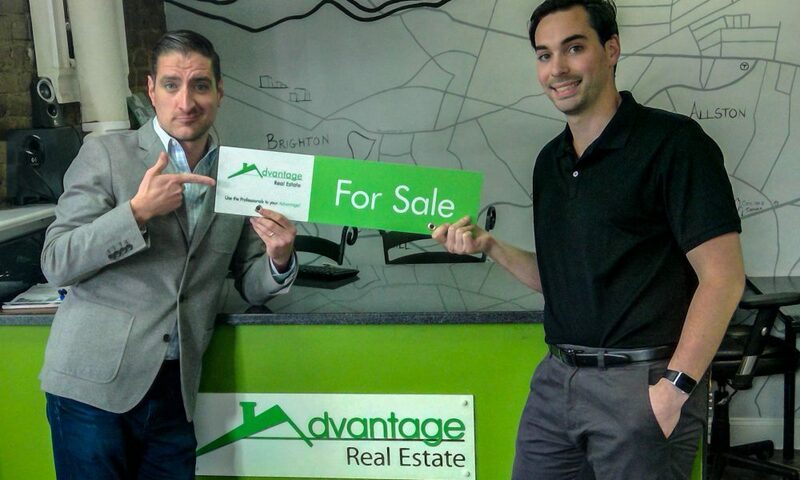 I started with Advantage Real Estate, a full-service real estate firm, about 5 years ago as a leasing agent. I came in knowing very little about real estate so I spent all of my free time learning about the industry. I got started as the economy was rebounding from the recession and the timing couldn’t have been better. As I became acclimated with the Boston real estate market, I began noticing the demand for multi-unit investment properties and began shifting my focus towards sales. I closed my first sale, a 2-family in Brighton, within my first year and I was hooked. Now 5 years later, I am the director of sales/leasing, managing partner, and responsible for company growth. Xavier, my business partner, and I have worked hard to build a solid foundation for our business, setting a precedent for anyone who joins our team. As a full-service real estate firm, our team wears a variety of different hats – from sales/leasing to property management, and everything in between. Every day is different and Xavier and I have focused on creating a culture in our office that can not only handle new challenges but also encourages having a lot of fun while doing it. Working in real estate can be stressful so we’re focused on maintaining an environment where our team is excited to come in and work hard. We’ve seen exceptional results – we’re constantly exceeding our goals and that fuels the already positive environment. I don’t think anyone who runs a growing business, large or small, can say it’s been smooth sailing – if they do, they’re not being honest with themselves. We’re constantly facing new challenges – the real estate market is always changing and there are new competitors entering the market every day. We closely monitor the direction the industry is headed, how we compare to the competition, etc. Evolving and growing in itself can be a rough terrain – if you’re staying ahead of the curve, it means there isn’t a “smooth road” for you to follow. In addition, building a certain company culture can be difficult in its own right. You’re constantly trying to hire the right people, develop them, and help them to succeed – this means we’re not hiring a handful of agents and hoping that one of them is great. We’re focused on finding the people that really believe in the way we operate and giving them the tools to be great. It’s a hands-on process and it can take patience – on both sides. We interview a lot of people who seem like a perfect fit but you don’t really see how they handle the adversity that can come with a sales job until they actually experience it. Our hiring and training process is something we’re constantly refining but it took some time to get to where we are now. Please tell us about Advantage Real Estate. Advantage Real Estate is a full-service real estate office. You hear this a lot, but we currently cover a variety of services that we’re adding to every day. Right now, our core service revolves around sales (both investment and residential), residential leasing, commercial leasing, and property management. We provide the best possible service in each area in the hopes of creating life-long relationships as the go-to provider for all things real estate. We’ll have clients that start with one service, say renting an apartment, and will come back years later when it’s time to buy a house. I’ve had other clients that have used all aspects of our service in a shorter time frame. For example, I helped a buyer purchase a multi-unit investment property. We took over the property management, we got the units rented, and increased their cash flow. Two years later, I sold the property for them and they walked away with a 39% return on their initial investment. We have the capacity to handle clients with a variety of needs and we’re always looking for new services we can add to our business that will help our clients. I don’t know that there’s anything that I would do differently. It’s easy to look back and say “if I knew then what I know now….” but I think our business, and what we know, is a product of what we’ve learned along the way. You have to make mistakes in order to learn from them and we’re constantly learning and evolving. Whether it’s a missed opportunity or a less efficient way of doing business, we’re always looking back and asking ourselves “how can we do this better?” and that has helped us to continue to grow, both individually, and as a team. It’s also helpful to have experienced some of the ups and downs of the business because we can help our new team members avoid the missteps moving forward. What we’ve learned along the way has gotten us to the position we’re in now and I look forward to continuing to improve and grow.